Looking to get rid of your unwanted electronics, e-waste, and scrap metal in the Atlanta area, but want to get the best price for your scrap? 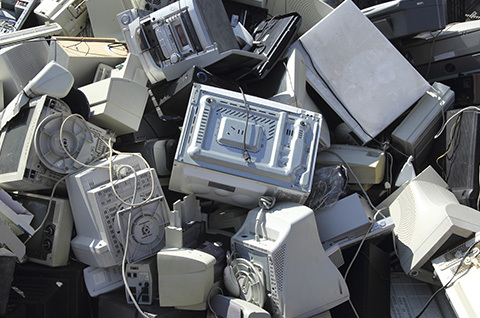 North Fulton Metals accepts all kinds of e-waste recycling and scrap metal recycling, offering you the most for your unwanted electronics and scrap metal. Contact North Fulton to set up an appointment today, or stop by our Atlanta scrap yard to get a quote for your scrap metal and electronic recycling. Why Use Our E-Waste & Metal Recycling Yard? With new electronics coming out every year, that mountain of e-waste in your home or office will only get bigger and bigger. Get paid for your electronic waste with recycling services from North Fulton Metals. We offer the best prices for electronic recycling and scrap metals. Keep reading to see some of the electronics we accept at our Atlanta scrap yard, or contact us to set up an appointment today. Did you pick up the latest iPhone or Samsung Galaxy and now you’re looking to get rid of your phone? Do you have a drawer full of old cell phones that no one uses anymore? Get paid for your old cell phones by bringing them to North Fulton Metals. If you have an old personal computer, or your company needs to get rid of some old technology, North Fulton Metals will take those old laptops off your hands. We’ll even pay you for them as well. Stop by our scrap yard in Atlanta to get your free quote today. Do you have a mountain of hard drives from old computers you don’t even use anymore? Get paid to recycle your old hard drives by bringing them into our Atlanta scrap yard. Want to see what your electronic recycling is worth? Contact North Fulton Metals to set up your appointment, or bring your electronic waste and scrap metal to our scrap yard and get a free estimate for your metal recycling.